Sodium lauryl sulfate is often referred to as SLS, but it can also go by several other names as noted in the U.S. Department of Health & Human Services Household Products Database and the National Library of Medicine's Hazardous Substances Data Bank. Note: Sodium lauryl sulfate is not to be confused with sodium laureth sulfate. The two are distinct chemicals. However, sodium laureth sulfate is often made from sodium lauryl sulfate. Sodium lauryl sulfate is used in a range of household and car cleaning products due to its ability to produce foam, cut through grease, and suspend soil particles so that they can easily be washed away. For household use, it can be found in dishwashing liquids, carpet cleaners, toilet cleaning products, tub & tile cleaners, stain & odor removers, all-purpose cleaners, laundry detergents, shower cleaners, glass cleaners, and more. In terms of car cleaning, you may find it in car washes and upholstery cleaners. Sodium lauryl sulfate isn't just limited to cleaning uses; it can also be found in a multitude of other industries. It's used in personal care products, such as toothpaste, hand soap, shaving cream, facial cleansers, body washes, shampoos, conditioners, and hair coloring products. In addition, it is even used in pet care products, like pet shampoos. Not only that, but SLS has even been used as a food additive! The FDA allows it to be used in fresh fruit coatings, egg white emulsifications, marshmallow making, and "fumaric acid-aciduated" beverage bases as noted in Title 21, Part 172 of the Code of Federal Regulations. It is also approved by the FDA as an indirect food additive when preparing "components of resinous and polymeric coatings" (Title 21, Part 175). To see if certain products contain sodium lauryl sulfate, try searching the U.S. Department of Health and Human Services Household Products Database, the Environmental Working Group's (EWG) Guide to Healthy Cleaning, the Good Guide, or the EWG's Skin Deep Cosmetic Database. When sodium lauryl sulfate is used in pharmaceutical preparations, personal care products, or as a food additive, it is monitored by the U.S. Food and Drug Administration (FDA). For cleaning and industrial uses, it is monitored by the Environmental Protection Agency (EPA). As noted in a series of 1970s peer-reviewed studies listed in the National Library of Medicine's Hazardous Substances Database, SLS has been found to be irritating to the skin and eyes and can even produce allergic reactions. In response to these problems with SLS, the Cosmetic Ingredient Review (CIR), an independent organization that reviews the safety of ingredients, stated in a press document that SLS posed less of a hazard in rinse-off formulations, but should be used in concentrations less than 1 percent for leave-on products. SLS is not expected to bioaccumulate or persist in the environment, which is a good thing, but it is known to be toxic to aquatic organisms as noted in the International Chemical Safety Card (ICSC) Database. So, considering it's getting rinsed down our drains from several personal care and cleaning products we use every day all over the world, this is something to consider. Manufacturers have become savvy to the fact that consumers are wary of having sulfates in their products, so many have developed alternatives. For example, Tom's of Maine uses glycyrrhizic acid, which is derived from licorice, in its SLS-free toothpaste instead of SLS. 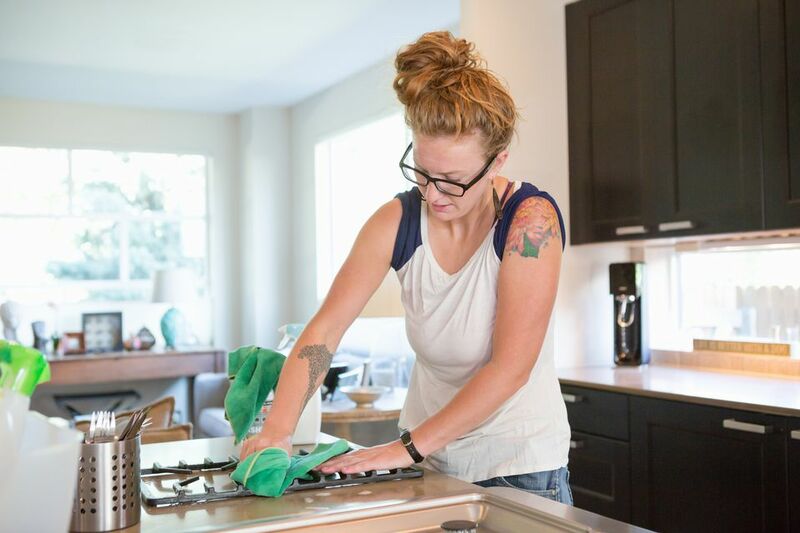 When it comes to green cleaning products, seek manufacturers who leave it out or simply try your hand at some DIY recipes. You may not see as much foam, but that doesn't mean they won't work!